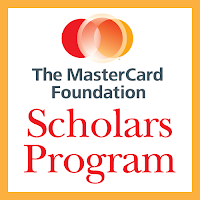 At the University of California Berkeley, the MasterCard Foundation Scholars Program will provide holistic support – financial, academic, social, and career counseling – to 113 students from Sub-Saharan Africa from 2012 to 2020. UC Berkeley will receive $30 million in funding over these 8 years as part of the MFSP for students from Africa wishing to study its Undergraduate or Master’s degrees. As an eight year program from 2012 to 2020, the undergraduate recruitment phase for 2017 onwards has now ended. 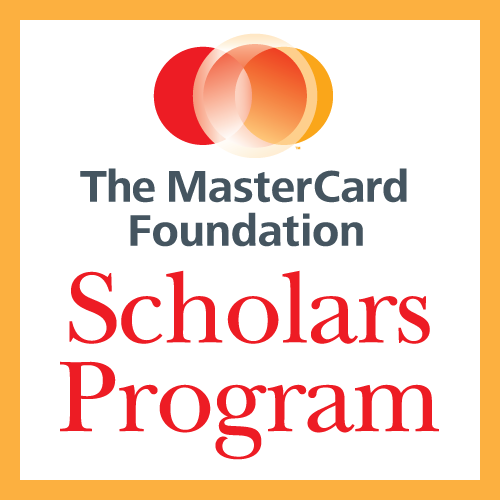 The UC Berkeley MasterCard Foundation Scholars Program will continue to recruit Graduate Scholars for two-year degree programs that begin in Fall 2017 and Fall 2018. Being a citizen of a Sub-Saharan African country - If you have refugee status, are stateless, or have other questions regarding your citizenship, you may still be eligible. Please contact us directly to clarify. This scholarship is not intended for citizens of North African countries. Excelling academically - All prospective Scholars must first be admitted to UC Berkeley to be considered for the Scholarship. An important criteria for admission to the University is demonstrated academic excellence. Having demonstrated the will to give back to your community, country, or continent - We are looking for well-rounded students who are engaged in activities beyond the classroom. Some may be directly related to your field of study, but this may also include other issues (social, economic, political) that you are working on and passionate about. Applicants should elaborate on their achievements both in their application to UC Berkeley, and then later on the Scholarship application. This is a FULL scholarship award covering all costs related to the studies. Over an eight year period, the Mastercard Scholars Program will bring 113 students from Africa to UC Berkeley for undergraduate and master’s degrees. Comprehensive scholarships (school fees, living expenses, books, stipends, transportation). Mentoring and counselling including emotional and academic support. Service and experiential learning (volunteerism, internships, entrepreneurship, ICT). Transition support into higher education or the workforce in Africa. Alumni network of next-generation leaders committed to service. Both undergraduate and graduate degree seekers must first be admitted to the university through the regular admissions process before they will be considered for the MFSP Program. However, the MFSP Program at UC Berkeley will not be soliciting applications for undergraduate scholarships for fall 2017 or beyond. Undergraduate scholarship recruitment has now ended. It is important to read the Undergraduate scholarship and Masters Scholarship pages, and also visit the official website (link to it is below) for complete information. Deadline for undergraduate applications is 30th November every year; while masters application deadlines vary by program (between December and January). For 2018-2019 academic year, graduate application deadlines will be between 1 December 2017 until 6 January 2018. The newly added MBA program require meeting up with additional Hass Scholarship Round One deadlines of 21 September 2017. Administered out of the Center for African Studies, the MFSP program at the University of California, Berkeley is supported by a broad cross-section of functional and disciplinary units on campus including the Division of Student Affairs, Undergraduate Admissions, the Graduate Division, the Berkeley International Office, and the International House. hi, i am from africa more precisely mauritius and i would like to know if am eligible for this scholarship. I'm from Nigeria and I would love to know if I'm eligible for the scholarship . I'm from Nigeria and I wanna know if I'm eligible . Hi dear can you please tell anyone from india apply for this internship ? I just saw this, please can I apply?